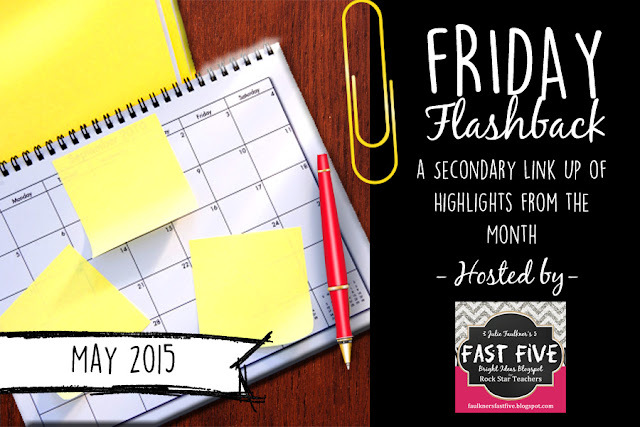 I’ve been working on idioms, and I’ve ended up with three new resources – all about idioms. All three of these resources are for sale in my Teachers Pay Teachers store now. 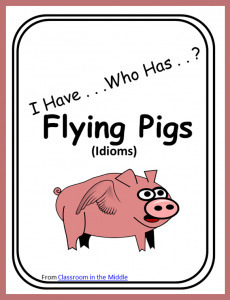 Also included as an easy reference for teachers is a big list of idioms and their meanings. The I Have . . . Who Has . . ? 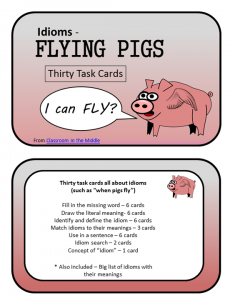 Idioms (Flying Pigs) game is a great way to review idioms. Each question features one idiom used in context. I Have . . .Who Has . . ? is an interactive activity in which every student in the class participates. 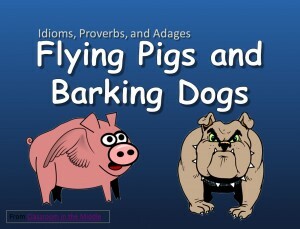 Idioms, Proverbs, and Adages – Flying Pigs and Barking Dogs is a twenty-seven slide PowerPoint presentation that introduces the concepts of idioms, proverbs, and adages and provides practice identifying idioms, proverbs, and adages and understanding their meaning. 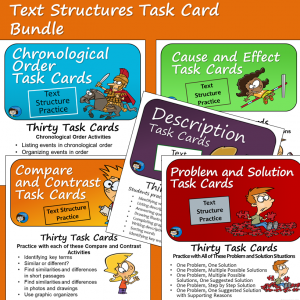 All of the idioms, proverbs, and adages are used in sentences to provide context. 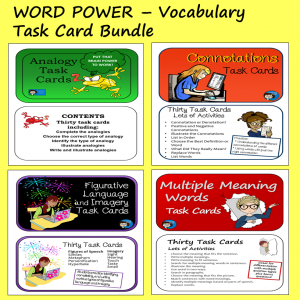 The final two slides include one page of interactive notes that can be printed out in advance for students to complete as they view the PowerPoint and a completed page of notes. The main focus is on understanding the meanings of the idioms, proverbs, and adages. The first half of the PowerPoint is about idioms, and the second half is about proverbs (or adages). 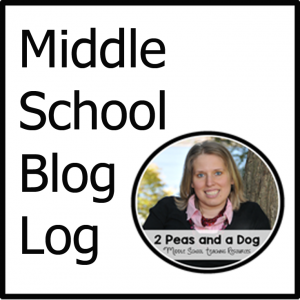 And yes, task cards called Barking Dogs (or proverbs) will be my next project.